This review is for a product called Age Defying Day Serum from Agelyss. According to the manufacturer, this day serum is an effective option for people who want to maintain radiant, younger looking skin. The manufacturers of this product included a variety of different ingredients in this product that serve several functions. These ingredients include Pepha-Tight, Gatuline Expression, Argireline NP, Trylagen PCB, and Phytocelltec Alp Rose. Additionally, the company that produced this product claims that continued use of their serum could help to reduce the appearance of fine lines and wrinkles. Furthermore, the use of this product could significantly improve your skins ability to produce collagen as well as promoting your skin to repair itself. This will help to prevent new damage from occurring on your skin while repairing any damage that has already occurred. Finally, the manufacturer of this product claims that this Anti-Aging day serum could help to protect your skin from damage from free radicals. This is excellent news because it will help to prevent any further signs of aging from occurring on your skin while protecting you from any harmful factors in your environment. Pepha-Tight – We were impressed to discover that this product contains Pepha-Tight. This ingredient is extracted from a certain type of specialized algae. These specialized algae are then combined with a variety of polysaccharides. There are also a variety of essential amino acids and vitamins included in this ingredient that that helps your skin to look and feel tighter. We feel that this is a key ingredient in a product like this because it provides your skin with short-term anti-aging effects but also with long-term benefits to your skin. Some of the long-term benefits associated with this ingredient are that it protects your skin cells from oxidative stress while stimulating the formation of collagen in your skin cells. Gatuline Expression – This is a natural ingredient that is extracted from the flowers and leaves of the Acmella Oleracea plant. Guataline Expression is an ingredient that is being used in products like this more often because of the numerous benefits that will occur as a result of using it. One of the most significant benefits associated with this ingredient is that it helps your brain to send impulses to specific skin cells that cause them to tighten the physical structure of there cell walls. As a result, you will notice a significant smoothing effect on your skin. Additionally, you will see that your skin becomes more contoured and fine lines and wrinkles on your skin will disappear or be dramatically improved. Argireline NP – Argireline NP is another excellent ingredient that will provide your skin with a wide variety of excellent benefits. This ingredient acts as an anti-aging peptide that is one of the most powerful of its kind. The research seems to indicate that continued use of this ingredient could help to prevent the formation of new wrinkles on your skin. Additionally, the continued use of this ingredient will help to smooth out the wrinkles that are already present on your skin. We were also impressed to learn that this ingredient will help to improve the overall texture of your skin while reducing dark marks and puffiness on your skin. Trylagen PCB – This is another ingredient that is formulated from a variety of active peptides and proteins. When used in combination these peptides and proteins facilitate your body’s production of collagen. Helping your body to restore your levels of collagen back to a youthful level. In addition to boosting your collagen production your skin, it will also help to prevent any further damage to your skin. With continued use, you will notice that your fine lines and wrinkles will be significantly reduced while your deeper wrinkles are plumped out helping to reduce the severity of their appearance. Phytocelltec Alp Rose – The final ingredient included in this skin care product is called Phytocelltec Alp Rose. This ingredient is derived from the stem cells of the Swiss Alpine Rose and comes in a concentrated powder form. The manufacturer of this product chose to include this ingredient in their formula because it is an excellent anti-aging compound and it also helps your epidermal cells to stay more useful and helps them regenerate at a faster rate. Finally, this ingredient improves your skins ability to act as a barrier, which provides your skin with more protection from harmful environmental factors. How Do You Use Age Defying Day Serum? When we examined this product we were thoroughly impressed by how easy this product seems to use. The manufacturer of this product recommends that you massage this serum directly on to the skin on your face and neck. Although they do not specifically state that you should wash your skin before you use this product we would recommend that you should. If you cleanse your skin thoroughly before you apply this product you will notice that your pores stay clear and the product will be absorbed more effectively. Additionally, the manufacturer states that this product is only effective if you use it daily. However, you will notice even better results if you apply this day serum to your skin multiple times throughout the day. You should also note that the manufacturer of this product recommends that you apply a moisturizer to your skin after you apply this day serum. You should just ensure that this moisturizer contains sun protection to keep your skin healthy and protected. The good news is that you can buy this anti-aging day serum straight from the manufacturer on their online store. We were also able to find this product on a variety of third-party sellers stores, which is rather impressive. If you choose to purchase this product directly from the manufacturer you will be offered a wide range of packages that provide you with greater savings depending on how much you purchase. If you buy a single bottle of this product you will only pay $69.00 for a one-ounce bottle. This price has been reduced from the original value of $89.00. However, the more you buy from this manufacturer, the greater the savings that you will be offered. If you buy three months supply from the manufacturer you will pay $43.00 per bottle. The greatest savings are found on the manufacturer’s six pack deal. If you choose this option you will be paying $33.00 for a single bottle. This is rather impressive as you will be saving an amazing 63%. We were incredibly impressed with the guarantee you are offered when you purchase this product. The manufacturer of this day serum gives you 365 days to return this product for a full refund. This means that you have a full year from the original purchase date to return this anti-aging day serum to the manufacturer if you are not satisfied with it. However, after looking at countless Day Serum Reviews we found that the majority of products like this do not provide their customers with such an excellent guarantee. 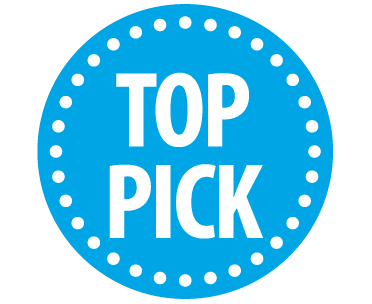 Although you receive such a good guarantee when you buy this product we found that there are very few returns on this product as most people who try it find that it works incredibly well and there is no reason to return it. Finally, we were pleased to note that the manufacturer of this product even accepts returns on products that have already been opened. This means that if you try this product and find that it does not work for you, you can send it back for a complete refund. After completing our research, we found that this is not a common policy. Most manufacturers will not provide refunds or returns for products that are not in their original, sealed packaging. After we concluded our review for Agelyss Age Defying Day Serum we were truly blown away by this skin care product. We have found that continued use of this nourishing day serum will not only help to improve the overall condition of your skin but it will also help to diminish the appearance of fine lines and wrinkles. Finally, we were pleased to discover that this product improves your skins ability to act as a barrier against the harmful toxins and free radicals you encounter in your environment on a daily basis. This Anti-Aging day serum contains five excellent active ingredients that have been scientifically proven and patented. These five active ingredients are Pepha-Tight, Gatuline Expression, Argireline NP, Trylagen PCB, and Phytocelltec Alp Rose. The manufacturer’s of this Anti-Aging day serum provide their customers with excellent discounts when they purchase this product. Not only is the price per single bottle reduced but you receive incredible discounts when you buy in bulk. When you purchase this product you receive one of the best guarantees we have ever seen. You have a full 365-days to return this product if you are not satisfied with it. 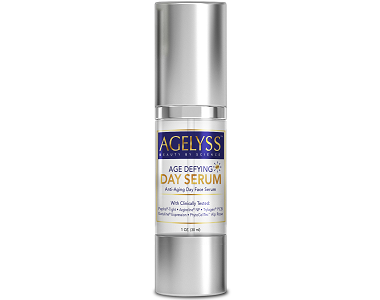 According to many day serum reviews, Agelyss offers the most buyer confidence in their products.